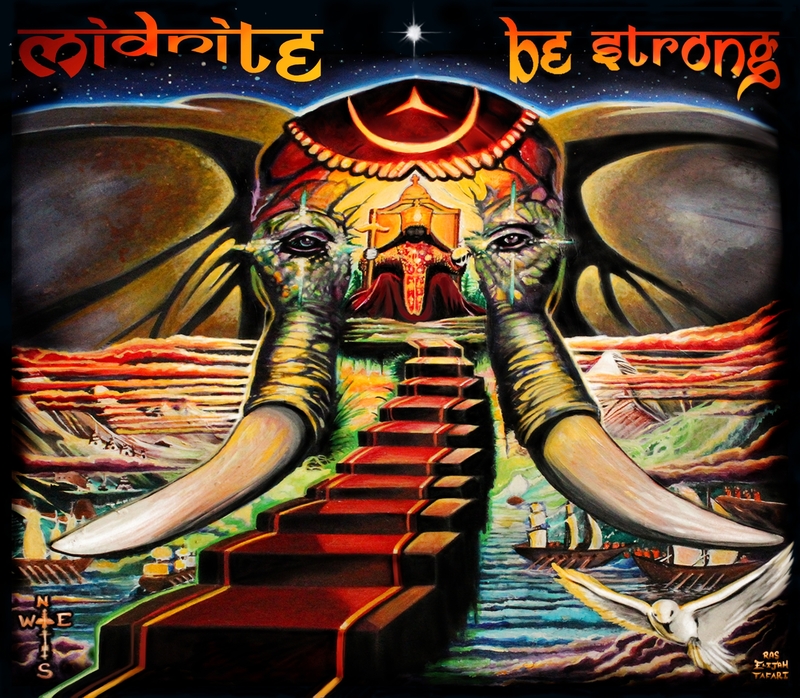 Hailing from St Croix, Virgin Islands — Midnite’s cutting-edge sound of modern roots music comes alive once again on their upcoming album Be Strong on May 14. The release follows In Awe, which was chosen by iTunes U.S. as one of the Best Reggae Albums for 2012. On Be Strong, their naked and raw roots reggae style — filled with extensive remixes, overdubbing and other musical refinements — weaves the cultural lyrics of old- school roots music with modern day to create a unique listening experience. In this album, look for Shona style guitars and percussion, hand drums from Mali and the Congo, Mbira (hand piano), Marimba, Zimbabwean guitar lines, trumpet from New Orleans. Heavy African Influence, featuring members and players from “Playing for Change” ( a famous group in their own right), as well as various traveling African musicians. These traditional styles of ancient music blend with modern roots to create a scorching sound. These production styles are unique to Midnite’s catalog, brought exclusively through collaboration between Midnite and Fifth Son Records’ production. Midnite is currently touring the U.S. until the end of April. Their live performances have won them a legion of fans among the reggae community.